20% off gift certificates, may not be redeemed by purchaser. 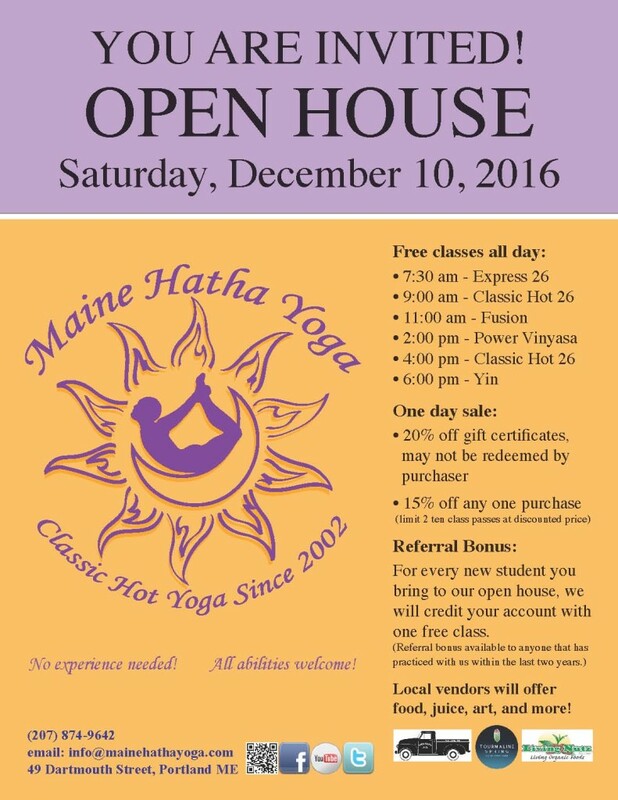 For every new student you bring to our open house, we will credit your account with one free class. Local vendors will offer food, juice, art, and more!